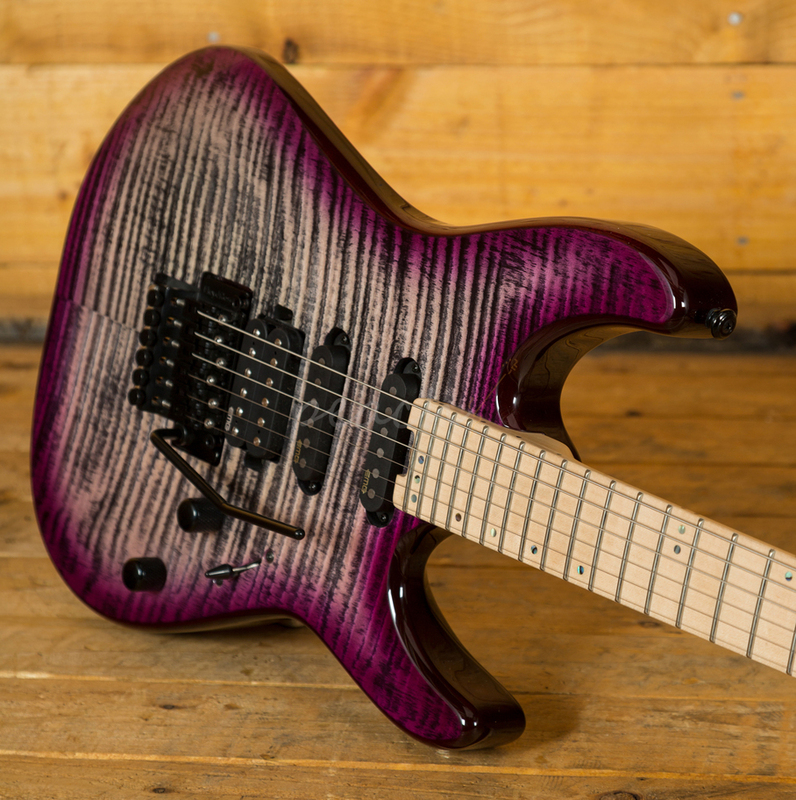 The Sun Valley Super Shredder III is an '80s inspired powerhouse, with a Mahogany body with a Quilted Maple top, the SSIII has a flat top and a cracking Aurora Burst finish. 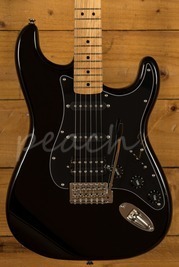 Taking the classic Strat shape its beautifully balanced and offers great access right up the neck. 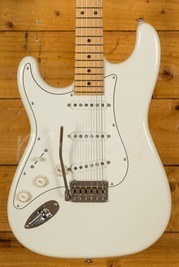 The Maple neck and fingerboard features offset dots, a Thin C profile, 24 X-Jumbo frets and a 14" radius, its fast and comfortable. 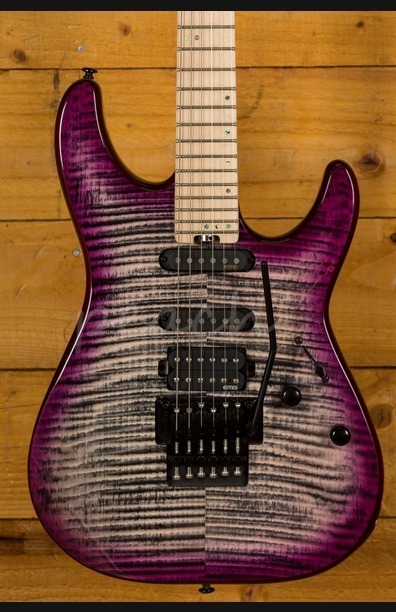 Perfect for laying down those 80's style riffs and licks. 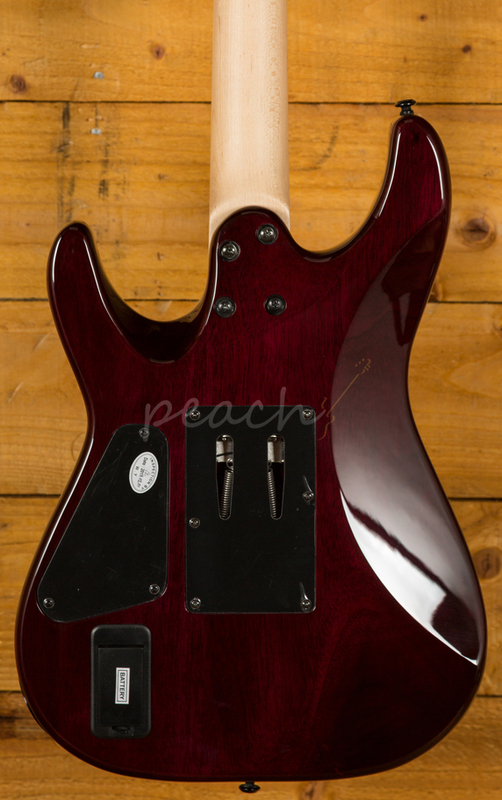 Loaded with EMG pickups in an HSS configuration, these active pickups give a super clear response with great note definition. 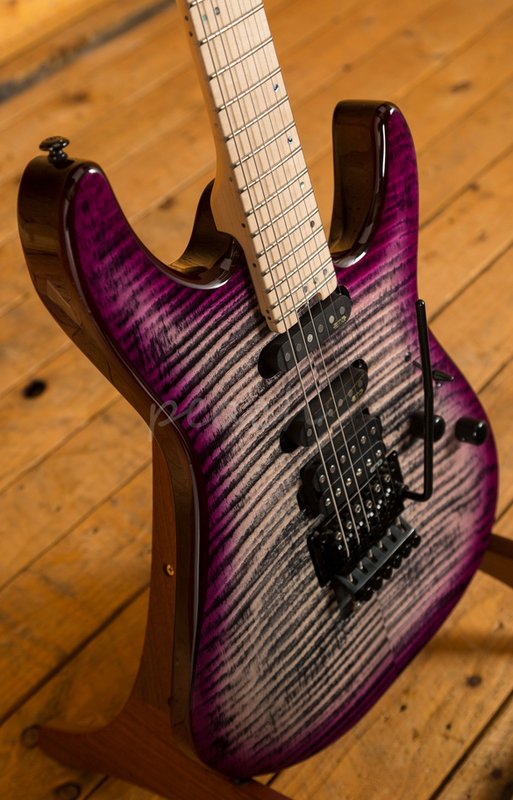 With Schecter tuners and a Floyd Rose 1500 tremolo, you get great tuning stability and intonation. 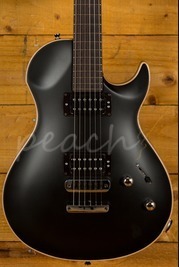 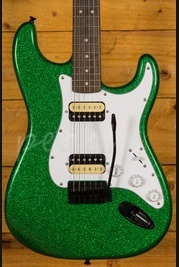 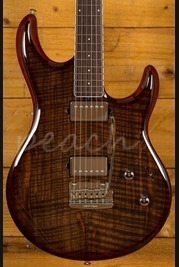 This is a really well designed and constructed guitar; it offers everything the modern player needs. 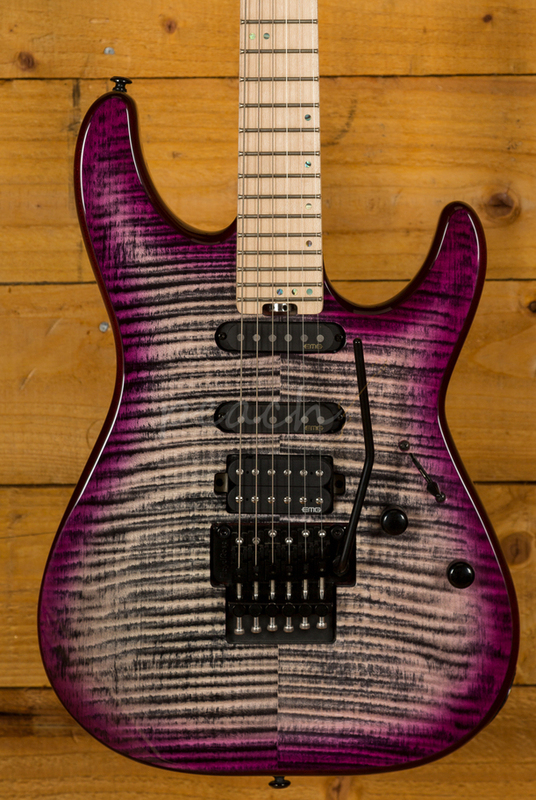 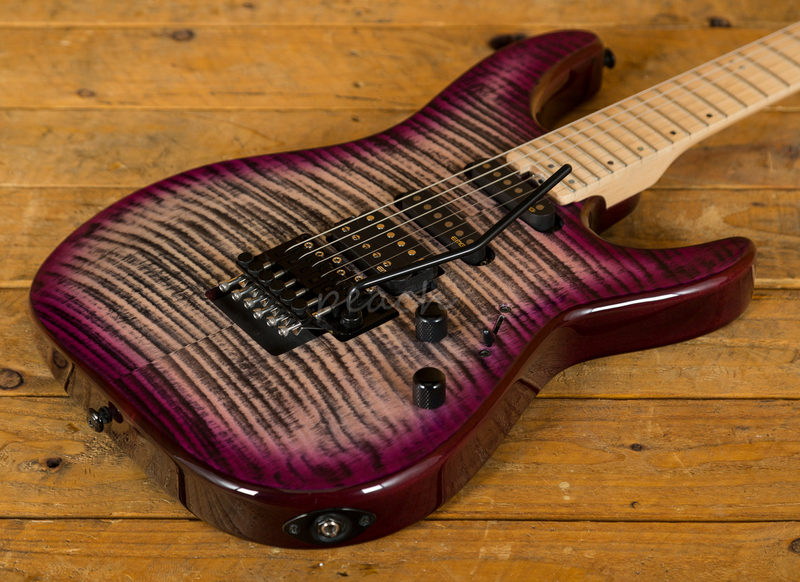 It's a lean, mean, shred machine!